Ortopedic digital templating CAD software sets the standard in digital templating, allowing surgeons to perform fast and accurate orthopedic planning. Cad software orthopedic surgeons with a digital toolkit are designed to preoperatively plan procedures and simulate the expected surgical outcome. 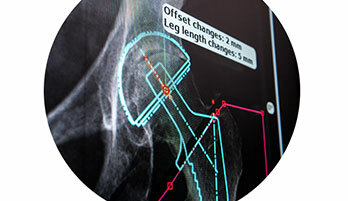 Quickly assess key clinical measurements, size prostheses, simulate osteotomies and visualize fracture reductions.